Patients in the area of Wrentham, MA who are faced with a chipped front tooth are often interested in working with a professional who offers cosmetic dentistry to learn about repair options. A chipped front tooth can be a problem in many ways. It can have a negative impact on the overall appearance of the smile, and it may cause sharp edges that can scratch the soft tissues of the mouth, including the tongue. When patients work with the team of professionals at Advanced Dental Practices, they are encouraged to learn about solutions such as porcelain veneers. Dr. Ross Palioca and the team at Advanced Dental Practices believe in using porcelain veneers when there are imperfections affecting the appearance and the function of the teeth in the front of the smile. 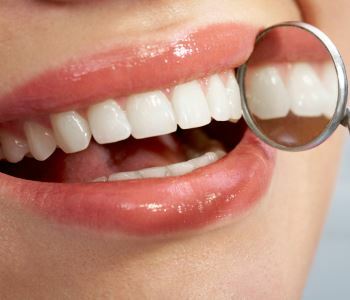 These are thin facings that are used to cover the teeth and completely disguise the issues at hand. They are custom-made to match the color, shape, and size of the existing teeth for seamless integration. Most veneers will last a decade or longer with proper care. Most patients who are interested in learning about porcelain veneers will find that they are viable candidates for these amazingly natural-looking solutions. Patients should know that the placement of porcelain veneers does require the filing down of the natural tooth enamel to reduce bulk being added after bonding. Our team of professionals offers cosmetic dentistry solutions for patients in the community of Wrentham, MA and beyond. If you are interested in discussing the benefits of placing porcelain veneers over teeth as an option for repair, contact Advanced Dental Practices today by calling (508) 456-7111 and visiting 21 East Street. "Dr. Palioca is a great doctor. Very friendly front office staff. My wait time was about 5 minutes. Everyone was very gentle and attentive to all my needs. Two thumbs up all around. My family and I are coming back. Thank you Dr. Palioca."